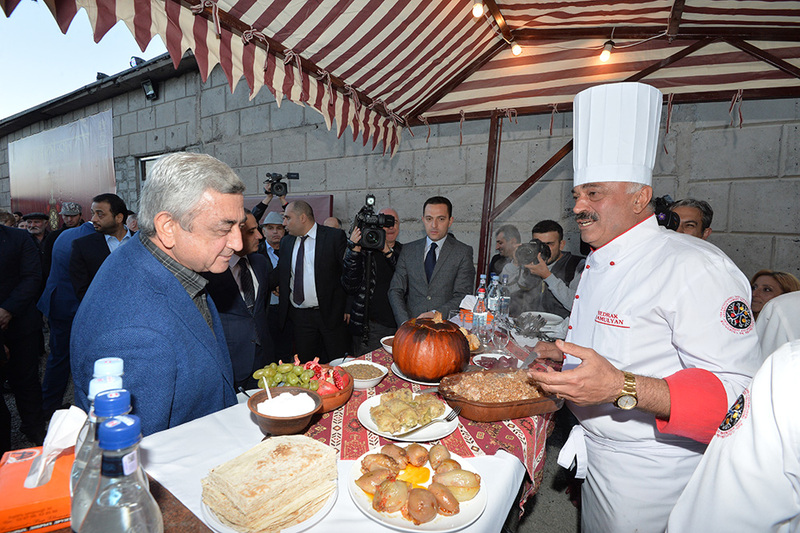 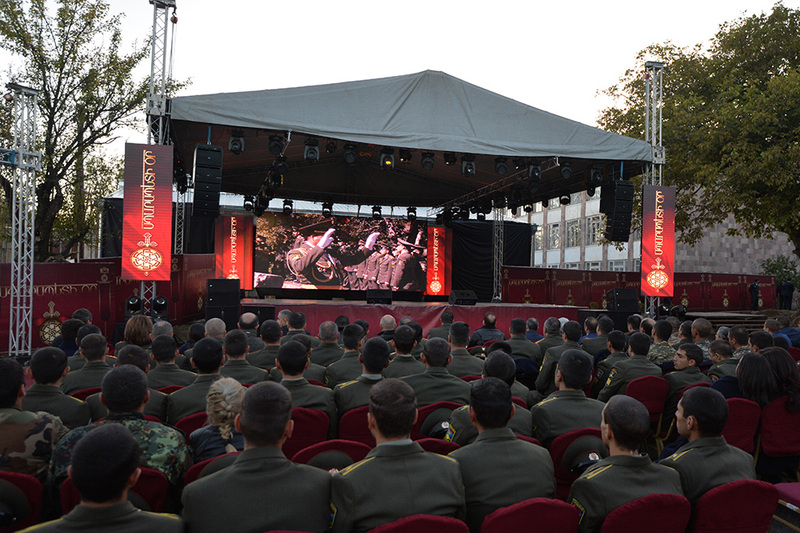 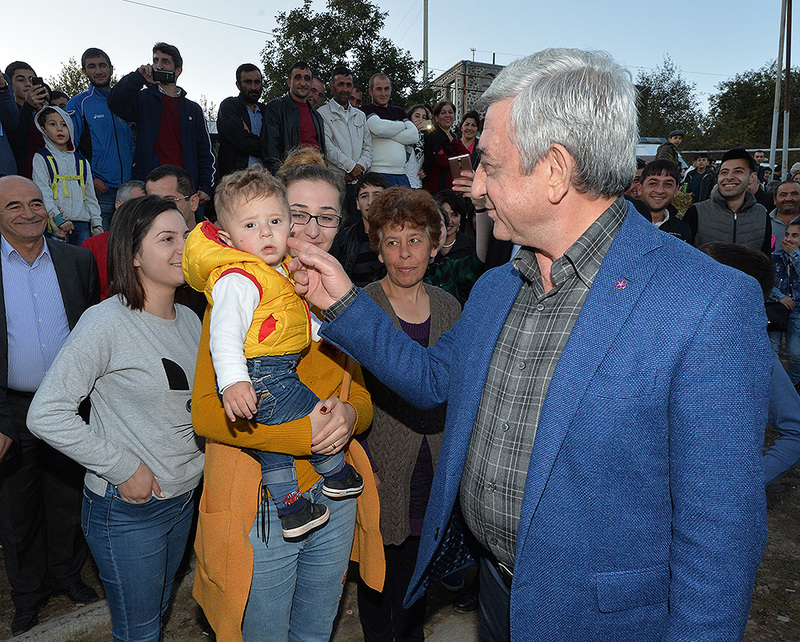 President Serzh Sargsyan, who is paying a working visit to Syunik Marz of Armenia, attended the celebrations of Sparapet’s Day on October 7, which is being held for the first time in the region. 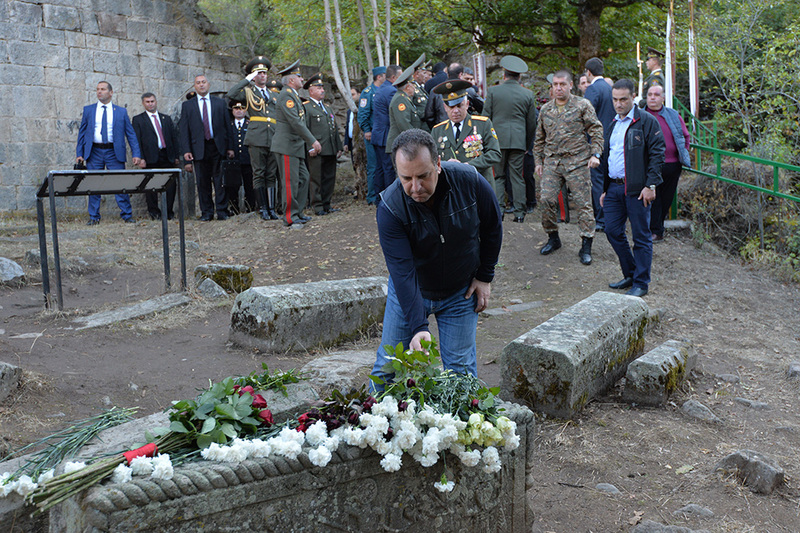 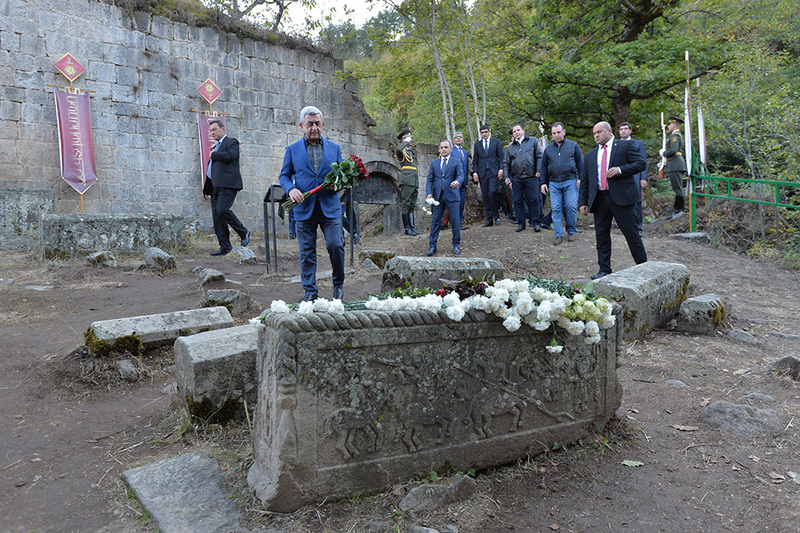 Within the frameworks of the events, the President called at the grave of Mkhitar Sparapet in Khndzoresk community, laid flowers and paid tribute to Sparapet. 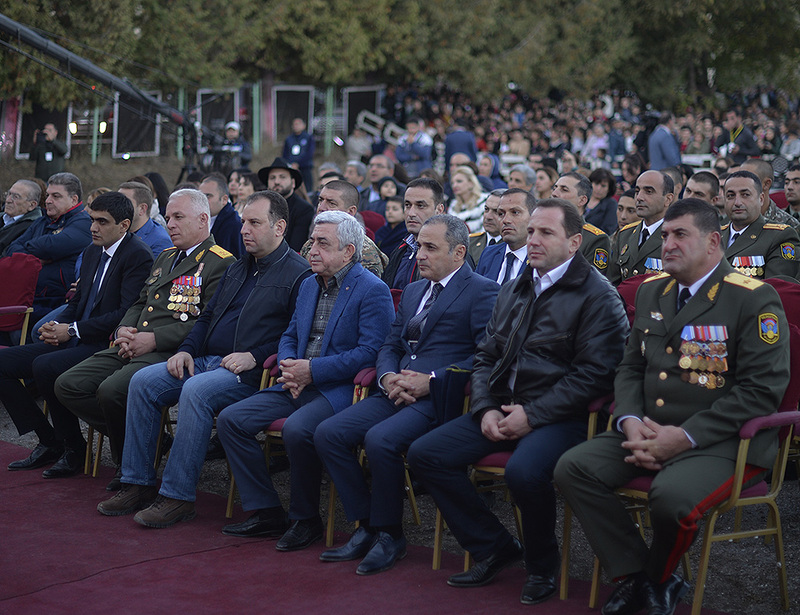 Later today, the Head of State attended a gala concert dedicated to the festive day’s emblem. 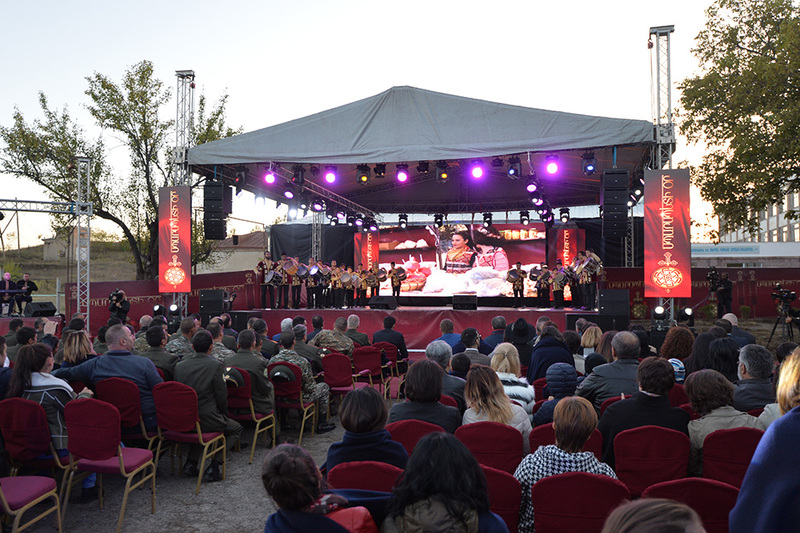 Various events dedicated to Sparapet’s Day in Khndzoresk were accompanied by folk celebrations, songs and dances, traditional contests in different sports. 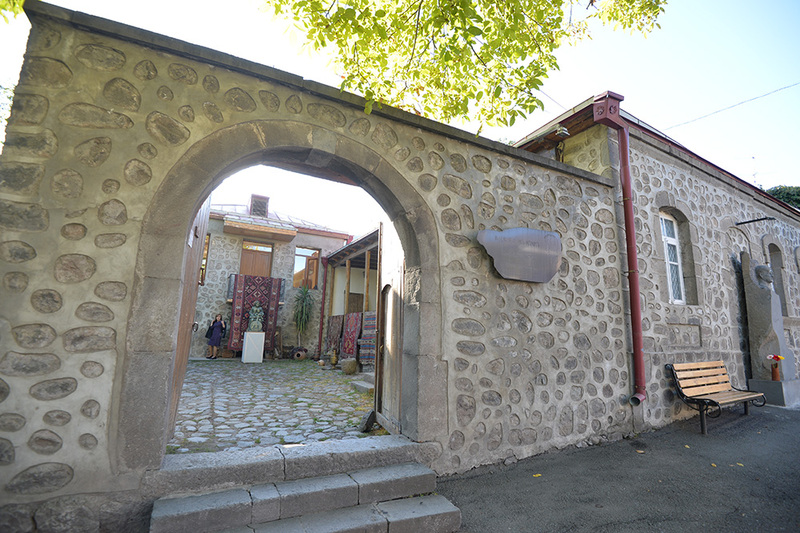 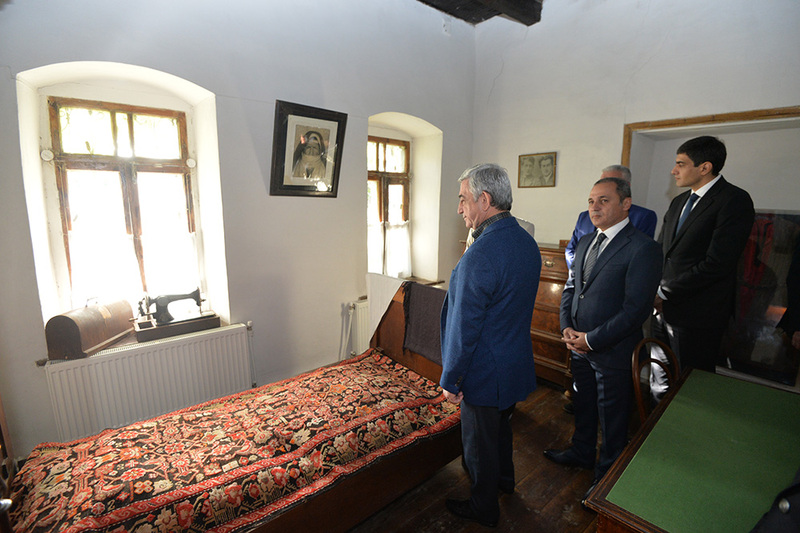 On the sidelines of his trip to Syunik, the President of Armenia visited Axel Bakunts House-Museum in Goris. 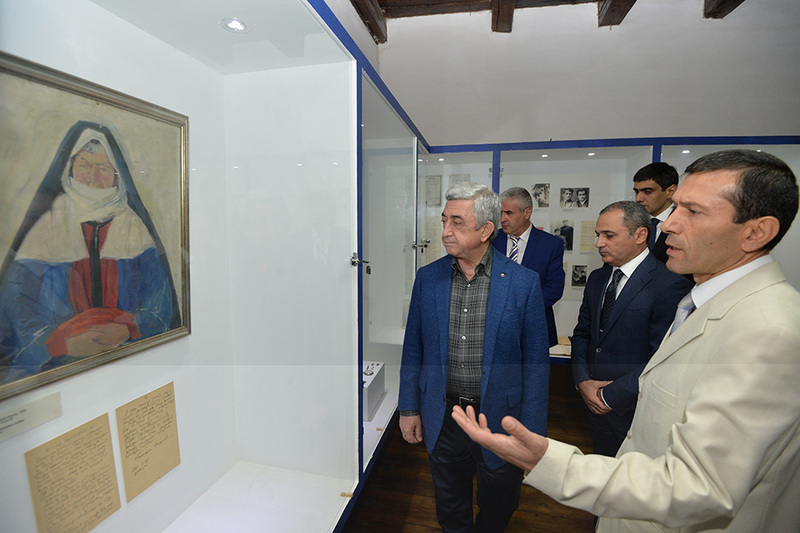 The President was told that the Museum underwent major renovation in 2012-2014, including the exhibition hall, the mobile display panels and the showcases. 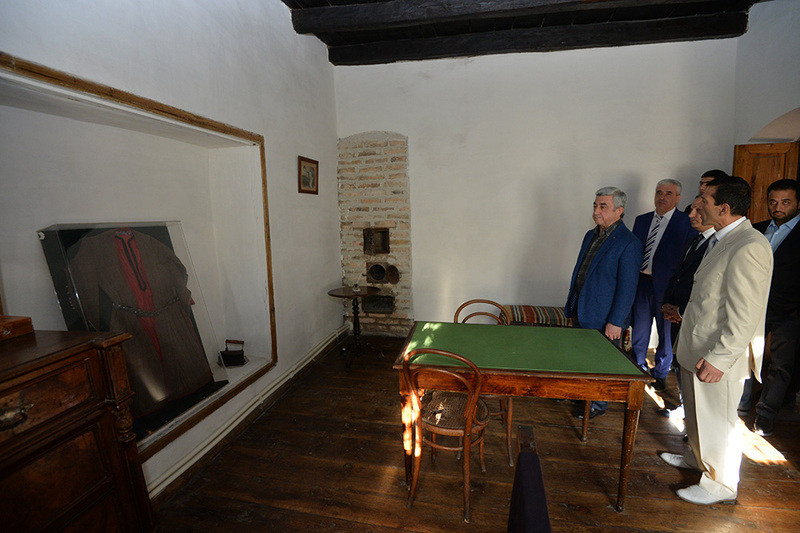 The Museum has been replenished with new exhibits. 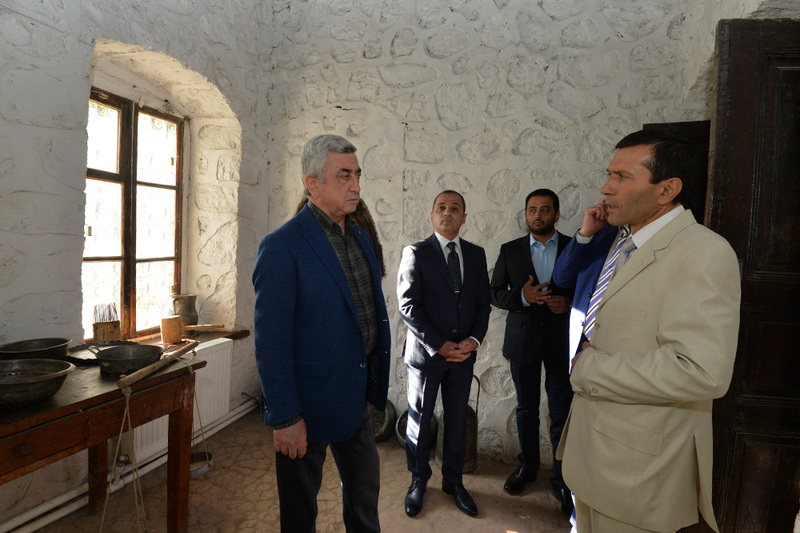 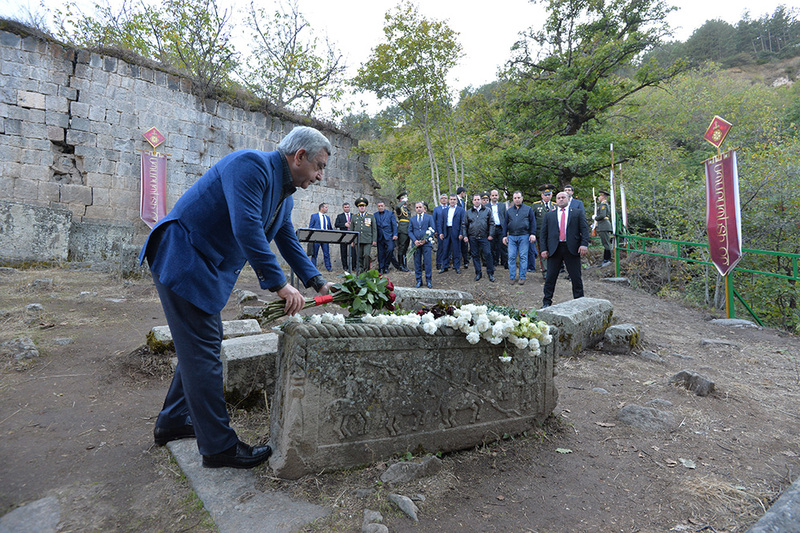 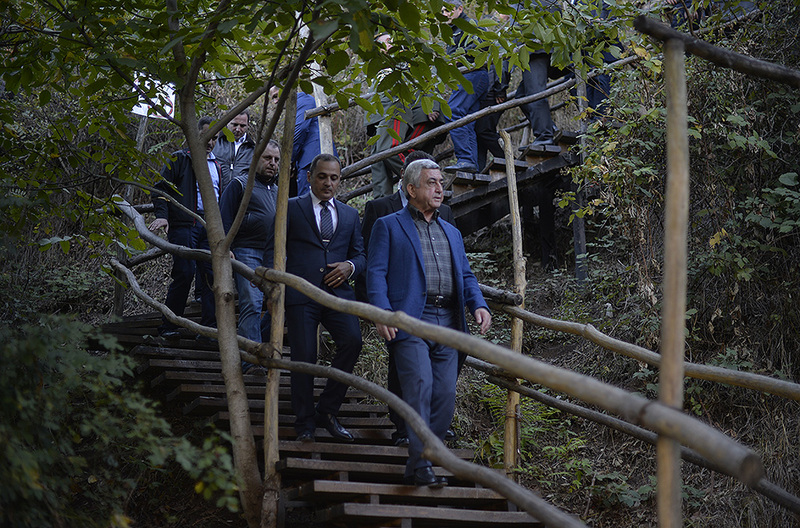 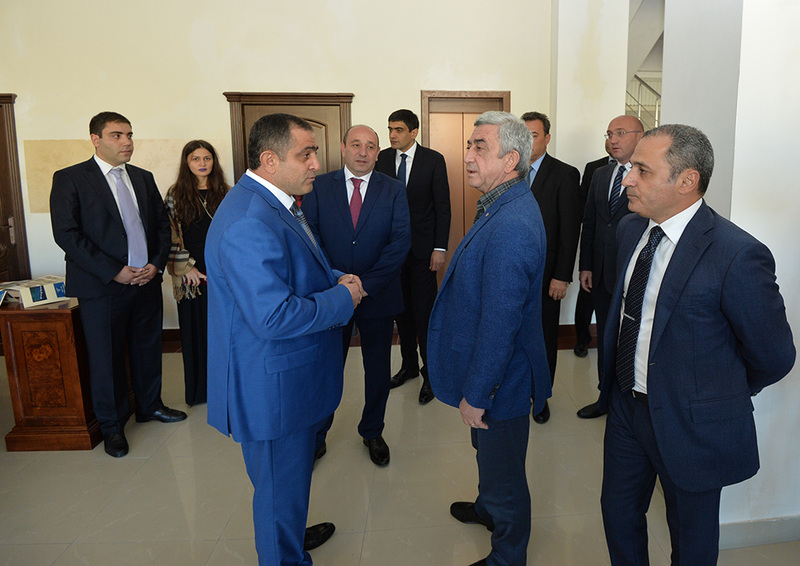 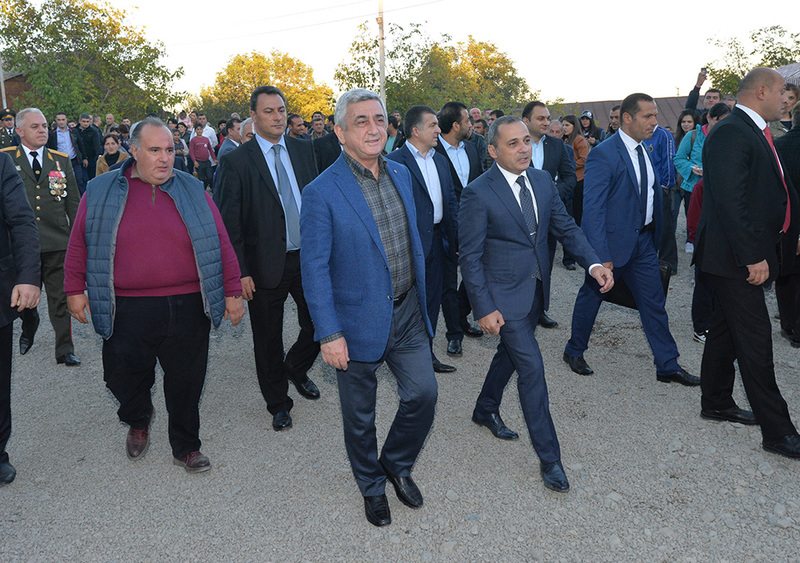 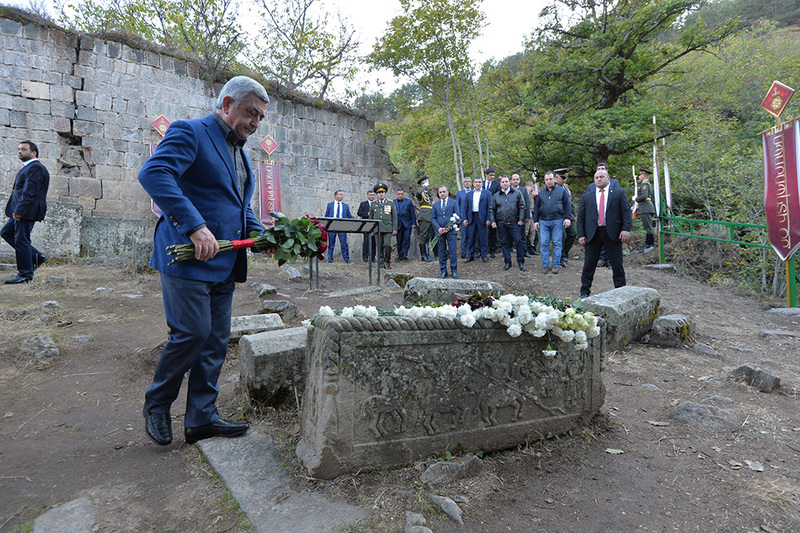 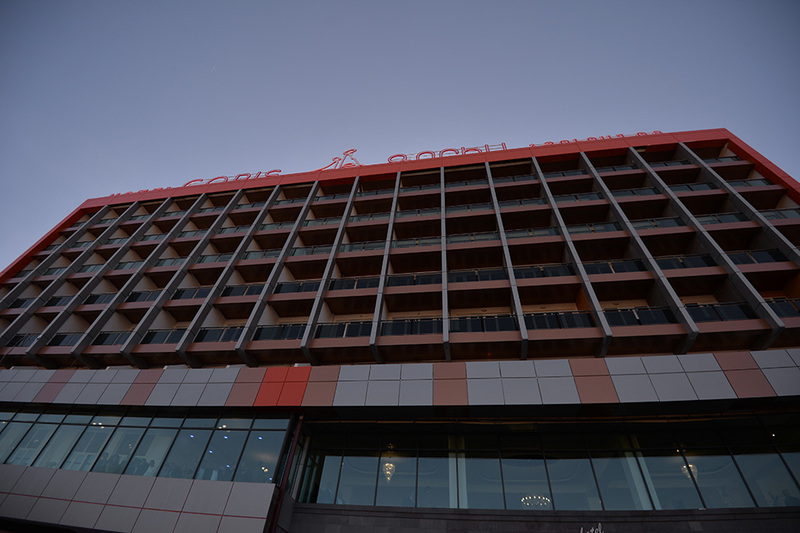 President Serzh Sargsyan also was familiarized with the amenities available at the refurbished Goris hotel in Goris.